A simple, organic sculptured solid oak pedestal base and a wood top. Each piece is finished by hand by artisans and is unique. 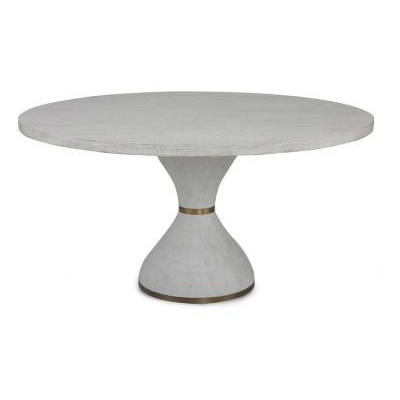 Can be mixed and matched with any of our other dining table bases or tops up to diameter 59 inches. A base for the 72 inch top can be special ordered. Also available in slate or portland concrete top and base for indoor/outdoor use( prices are different).